With age comes wisdom… and, more often than not, saggy, baggy, tired-looking skin! Many people are scared to commit to a full-face lift, given the invasive nature of the procedure, the exorbitant costs and the general fear of completely changing your appearance – so can you blame them? We don’t! The Harley Clinic take a non-invasive, regenerative approach to structural concerns due to ageing and offer a range of alternatives to suit your needs. One of the popular treatments available to clients presenting with these concerns is Thread Lifts. 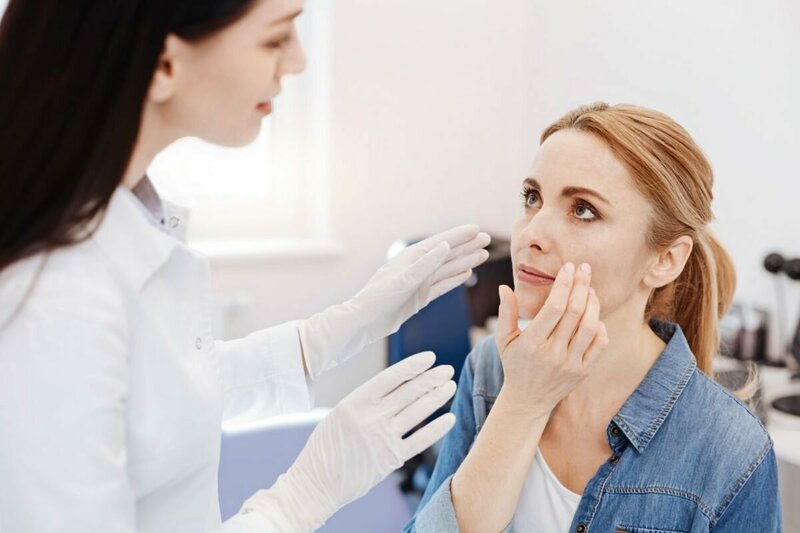 Specialist at The Harley Clinic, Dr Wayne Young, says the demand for non-surgical facelifts has exploded in recent years, and there are several options available on the market in Australia. “The Harley Clinic has a few anti-ageing treatments that work to tighten the skin and offer a gentler option – one of our top picks is the thread lift,” said Dr Young. “This non-surgical facelift reduces the visible signs of ageing and restores the skin’s texture, facial definition and elasticity for a more youthful appearance. Thread lifts involve the use of sutures (medical needles and threads) to tighten the skin, which in turn reduces the visible signs of ageing, such as wrinkles and lines, papery skin and droopy lids and facial features. The procedure can be completed in a lunch hour, with only a local anaesthetic required. The client is usually fine to head back to work after the treatment, but we advise them to keep the treated area clean and make-up free for the following 24 hours. They should also avoid analgesics before and after the treatment to minimise any bruising, but paracetamol is fine for those who have a low pain threshold. Best results are seen in the three to six months following the treatment and can remain for up to 18 months. As with all treatments at The Harley Clinic, we recommend coming in for a complimentary consultation so you can tell us what results you’d like to see and our professional medical staff can ascertain the best course of treatments for your personal needs. This entry was posted in Facial Rejuvenation, Non-Surgical Face-lift. Bookmark the permalink.